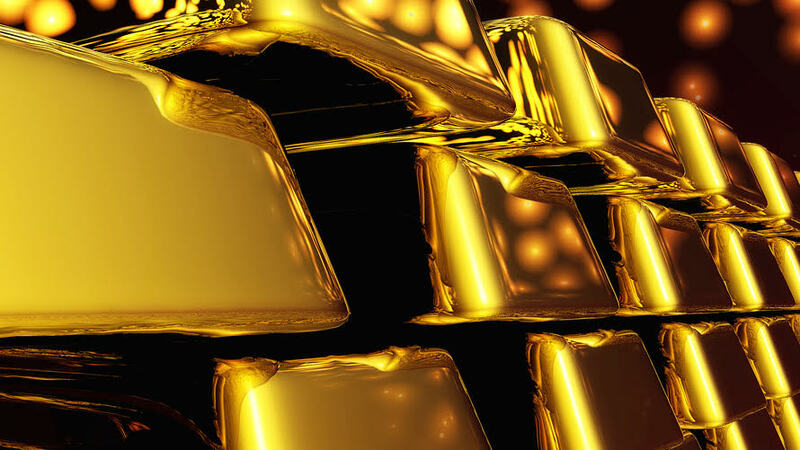 Investing.com – Recession, or the mere thought of it, is good for gold. Global financial markets were mired in illiquid trading on Monday and the spreads between U.S. three-month and 10-year Treasury yields modestly inverted as the session progressed as fears of a potential U.S. recession grew. Spot gold, reflective of trades in physical bullion, was up $9.51, or 0.7%, at $1,322.95 per ounce at 2:49 PM ET (18:49 GMT), after scaling $1,324.57 earlier. Gold futures for June delivery, traded on the Comex division of the New York Mercantile Exchange settled the official trading session up $10.30, or 0.8%, at $1,329 per ounce. It got to as high as $1,330.75 earlier. Equity markets and the dollar, both contrarian trades to gold, declined in sluggish activity, adding to gold’s lure as a safe haven, precious metals analysts said. “Brexit uncertainties, fresh concerns over lower U.S. economic growth, an overly cautious Federal Reserve and uncertainties on the China negotiations continue to encourage risk-averse investors to diversify their portfolios,” said Walter Pehowich, executive vice-president at Dillon Gage Metals in Addison, Texas. Palladium prices rose as well to remain the world’s most expensive traded metal. The spot price of palladium gained $19.20, or 1.2%, to $1,574.50 per ounce. It hit a record high of $1,616.30 last week. Palladium futures down $27.40, or 1.8%, at $1,542.90 per ounce. Platinum futures up $11.30, or 1.3%, at $864.70 per ounce. Silver futures up 16 cents, or 1%, at $15.56 per ounce. Copper futures up 2 cents, or 0.5%, at $2.86 per pound.